In 1949, Horace Godfrey, a Forest Service district ranger in Seeley Lake was struggling to communicate effectively with local outfitters. He called a meeting with several outfitters and formed the Western Montana Outfitters and Guides Association. Between 1949 and 1960, the Western Montana Outfitters and Guides Association became the Montana Outfitters and Guides Association (MOGA). In 1960, MOGA again changed names to become the Montana Outfitters and Dude Ranchers Association. 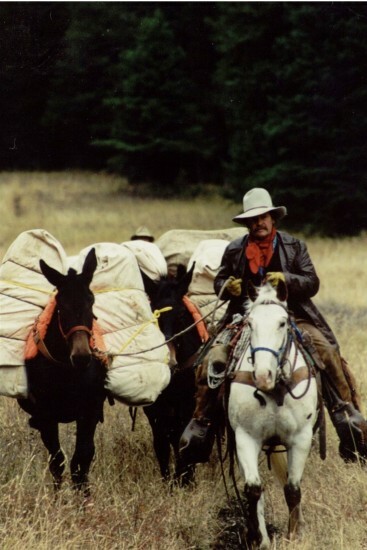 By the early ’70s, Montana boasted a number of outfitter organizations including Treasure State Outfitters, Montana Outfitters and Dude Ranchers Association, Broadwater and Meagher County Outfitters, Bitterroot Outfitters, and the Professional Wilderness Guides Association. In May 1974, leaders at these organizations met and agreed to merge their respective organizations into one association, the Montana Outfitters and Guides Association. A new constitution and bylaws were written and MOGA held its first Winter Convention at the Yellowstone Inn in Livingston and elected Bob Hart as MOGA’s first President.